Just look at this interesting line-up in this Newsletter - May 2008. The eLearning Papers’ Editorial Board has been recently reinforced with experts in learning and training. The editorial board selected in the annual meeting the themes for upcoming eLearning Papers 2008-2009. The themes are Open Educational Resources; Training & Work; Digital literacy; Creativity & innovation and New learning generation. The editorial board and the open calls for papers are available at the eLearning Papers website. The elearningeuropa.info launched in January a call for collaborators aiming to reinforce the participation and visibility of all European countries in the portal. The collaborators contribute by acting as portal’s “correspondents” in their country and region. The LOGOS project aims to develop an innovative ubiquitous eLearning environment for almost everybody. The system will have the potential to promote social inclusion by assuring wide accessibility to eLearning material. At the same time, the platform aims at economic impact through facilitating faster and more effective training on the job. The project's 2nd workshop will be held on 3 September at Varna (Bulgaria). The call for papers is open until 2 June. The results of the portal’s user survey are now available. 2nd SIRTEL WORKSHOP, Maastricht, The Netherlands, 17 September 2008. The workshop explores the relationship, challenges and opportunities of Social Information Retrieval (SIR) and Technology-Enhanced Learning (TEL). The call for contributions is open until 29 June. 4th EDUMEDIA CONFERENCE, 2-3 June, Salzburg (Austria). The theme of this interdisciplinary conference is “Self-organised Learning in the Interactive Web” offering a platform for a critical assessment of the current situation regarding the sustainable use of web-based education technologies in self-organised learning processes in all areas of education. EDEN ANNUAL CONFERENCE, 11-14 June 2008, Lisbon. The conference will focus on the significance and impact of cultural issues in distance and e-learning development in Europe and beyond. The detailed conference programme is now available at the conference homepage. 4th ANNUAL eLEARNING FOR FINANCIAL INSTITUTIONS, 5-6 June 2008, Rome. eLearning can have an enormous financial impact on business, but proving a return on investment can be tricky unless you know what to look for. The learning agenda for this conference is to understand the key trends and implications that enable the financial institutions all over Europe to increase the effectiveness and efficiency of their eLearning programs at reduced costs. Below you'll find what's new today. The Scout staff takes an incredible amount of pride in providing some of the best online resources to our readers in our weekly Scout Report. The list is meant to remind our readers of some of the great resources the Scout Report has delivered over the past academic year. We hope you enjoy our list and that you take a few minutes to revisit some of our favorite sites from 2007-2008. Housed at the University of California, Berkeley, the Greater Good Science Center (GGSC) is "devoted to the scientific understanding of happy and compassionate individuals, strong social bonds, and altruistic behavior." To achieve this goal, the GGSC enlists a broad range of scholars from various disciplines, publishes a quarterly magazine ("Greater Good"), and maintains an outreach program that includes a website designed for parents who wish to foster emotional intelligence in their children. A simple story that illustrates the forces shaping social media. This video focuses on basics of social media: new technology that makes everyone a producer and tools that give everyone a chance to have a say. Dr Itiel Dror, the celebrated cognitive and behavioural psychologist, has announced a one-day public workshop for learning professionals. Building e-learning with the brain in mind will take place on 17th June in central London. How the mind works. How does the brain acquire, remember and use information? In this interactive session Dr Itiel Dror and Tamas Makany will take you through the latest scientific research into the workings of the mind, with particular relevance to learning. Ways to design e-learning effectively. If you understand the brain better, you can build your e-learning better. The presenters will examine how to increase not only the amount that people learn, but also the amount they recall effectively, and then use when back in the workforce. Optimal use of technologies in delivering learning materials. 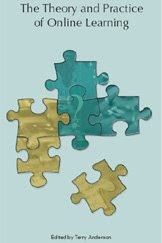 E-learning works best when it is fitted to the brain, and optimised to serve and support the natural learning process. This part of the day will examine the new opportunities learning technologies can play in learning. Delivered with fellow neuro-scientist Tamas Makany, the workshop lasts one day, is highly interactive, and comes complete with reading materials for use both before and after the event. At eLearning Africa, Raymond Tsongorera is representing the University of Zimbabwe. His passion is in Web 2.0, Multimedia, webcasting and eLearning. He believes that in this fast-growing family of ICT, scientists and researchers should share the vast amount of knowledge available by all means possible so as to come up with meaningful contributions to the ICT family structure. He answered some question for CHECK.point eLearning. In 1594 Shakespeare wrote, "What's in a name? That which we call a rose by any other name would smell as sweet." I disagree, names matter. Would "Desperate Housewives" have achieved massive popularity if it was called "Suburban Living"? And what about course titles? I teach a course, "Online Consumer Health," previously known as "Online Health Communities." My primary motivation for changing the name was that one of my students last fall told me he signed up for the course not knowing what an online health community was. Being descriptive and understandable is important. Have a good time reading this eLearning news! New Free Digital eBook from The eLearning Guild! The eLearning Guild have released the latest in their series of free e-books. 144 Tips on Synchronous e-LearningStrategy + Research. These tips will be useful to any designer or developer looking for best practices to incorporate into their own processes. The project is called the Virtual Computing Lab, and users enter it remotely, from their own computers in dormitory rooms or libraries. They get all the features they've had in the past, including access to expensive software packages, like 3-D modeling tools and advanced statistical programs, that they need for courses. But now the programs run on powerful computer servers behind the scenes, instead of on desktop PC's. And this lab never closes. With energy costs soaring to record levels, taking steps to reduce energy consumption isn't just good for the environment--it's also essential for the fiscal health of schools. At a recent webinar on "green" computing, panelists discussed several ways school leaders can reduce the power consumption of their technology systems...and ways they can use technology to cut other energy expenditures, too. "What's going to happen to this world if we don't change our behavior?" asked consultant Karen Greenwood Henke, who moderated the online discussion for the Consortium for School Networking, its host. Educators are closely watching a $1 billion copyright infringement lawsuit challenging YouTube's ability to keep copyrighted material off its popular video-sharing web site—a lawsuit that could have important implications for the future of Web 2.0 applications, observers say. A computer game designed to teach non-violence and conflict resolution skills to young children has found a home with Curriki, the nonprofit collection of open online curricular materials available for downloading free of charge. Call it virtual, distance, or online education. For today's curricula, it's no longer a question of whether or not to try but when to start Our survey of educators who already use these technologies can help the uninitiated. When does an idea evolve from faddish to fundamental? These facts tell the tale: 42 states reported in 2007 some sort of virtual learning for their students; and there are at least 147 virtual charter schools operating in the U.S. Even the NEA recently wrote a thorough guide to virtual teaching. The Theory and Practice of Online Learning (second edition) is available now for free under a Creative Commons license. You may redistribute, copy, or otherwise reuse/remix this book provided that you do so for non-commercial purposes and credit professor Terry Anderson. updated version of the highly successful 2004 first edition. Every chapter in the widely distributed first edition has been updated, and four new chapters on current issues such as connectivism and social software innovations have been added. Education technology developer Smart Technologies this week announced a new version of its Senteo interactive response system, Senteo 2.0. The free upgrade is expected to be available in July. According to Smart, Senteo 2.0 adds features that allow it to integrate with Smart's Notebook collaborative learning software and that simplify the process of adding questions to lesson plans. Various improvements to reporting and analysis features. The new version also provides access to "thousands" of pre-generated, state-aligned question sets through the company's education solutions Web site. 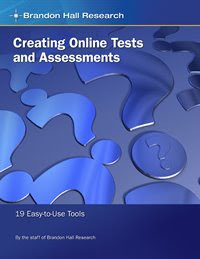 Brandon Hall Research newest report, Creating Online Tests and Assessments: 19 Easy-to-Use Tools, addresses your need to find the right tool to create tests and assessments rapidly. For this report, they focus on tools that both excel in creating tests and assessments and that have a short learning curve. They also provide authoring tips, tools, and features to help you define your organization’s business and technical requirements. Making it easy for novice developers to create tests, exams, and quizzes. Creating the type of assessment you need, from simple to robust and dynamic. Meeting standards and tracking data. Along with a list of the features commonly found in products to develop online tests and assessments, they provide comparative tables – including pricing – so you can easily see how each of the 19 products compares across a wide range of features. 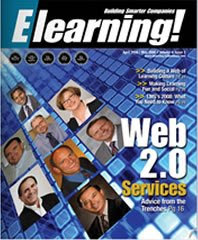 Don't miss these articles, appears in ELearning april 2008 / may 2008. Make sure you take the time to read these two pertinent articles. You can’t just implement e-learning into an organization that’s not ready for it, doesn’t support it, or doesn’t have a culture based on knowledge sharing. Corporate culture — be it good or bad — will always win out. So e-learning professionals must build a positive learning culture within their organizations in order to ensure the success of their elearning strategies. The exciting thing about a true learning culture is all the horizontal knowledge-sharing. It’s not top-down or bottom- up, it’s an I-share-with-you, you share- with-me mindset. Employees work as teams. Trainers collaborate, sales people in different regions collaborate. Networks are built and communication channels are established. The LMS market has grown considerably over the last few years, because organizations of all sizes now realize that they need some form of learning management solution. In 2004 (when Bersin & Associates published its first report on the U.S. market), we forecast LMS vendor revenues at $380 million. In 2005, the revenues increased to $480 million. In 2006, despite consolidations and mergers, the market reached approximately $583 million.This article explores some of the underlying business drivers behind this growth and the implications for both buyers and solution providers. compete for most contracts, putting pressure on vendors to keep pricing moderate. The process of developing eLearning content can be closer to science than art. We turned to the experts for five critical steps to building online courses that work. British Museum staff members are constantly engaged in research projects from fieldwork to cataloguing and scientific investigation, and this site provides insight and access to a wealth of information about these endeavors. First-time visitors to the site should glance on over to the left-hand side of the homepage, where they will find sections like "Research Projects", "Publications", "Libraries and archives", and "Research News". Social Networking: Learning Theory in Action by Ruth Reynard, Ph.D. The National School Boards Association (USA), in partnership with research firm Grunwald Associates and with the support of Microsoft, Newscorp, and Verizon, published a 2007 data-rich survey dissecting social and education related activity patterns by American students. The focus of the study was K-12 instruction; however, much can be learned from the results of this study that apply to the uses of social networking technology in general. The list of "popular" uses itemized by Grunwald certainly seems to support the idea that the biggest uses of these tools are simply unidirectional (posting messages, downloading media files, updating personal information). While these types of uses could be utilized in a self-reflective learning environment, however, actual "social" skills seem to be lacking. Electronic learning or E-learning is a general term used to refer to computer-enhanced learning. It is used interchangeably in so many contexts that it is critical to be clear what one means when one speaks of 'eLearning'. In many respects, it is commonly associated with the field of advanced learning technology (ALT), which deals with both the technologies and associated methodologies in learning using networked and/or multimedia technologies. By 2003, more than 1.9 million students were participating in on-line learning at institutions of higher education in the United States alone. Many higher education for-profit institutions, now offer on-line classes. By contrast, only about half of private, non-profit schools offer them.The Sloan report, based on a poll of academic leaders, says that students generally appear to be at least as satisfied with their on-line classes as they are with traditional ones. Private institutions may become more involved with on-line presentations as the cost of instituting such a system decreases. Properly trained staff must also be hired to work with students on-line. These staff members must be able to not only understand the content area, but also be highly trained in the use of the computer and Internet. Online education is increasing dramatically around the world. This book presents the latest research in the field. Lifelong Learning will be based on E-learning: What is the way to come there? When Collaborative PBL Meets E-learning: How does it Improve the Professional Development of Critical-Thinking Instruction? Evastina Björk Project leader for the project -A Universal Design, at Nordic School for Public Health has written the chapter about "E-learning for all".